I’d been getting all greetin’ faced about the results I’d been getting from the Diana but I’m now about to do a popular Political U-Turn and say I’m now back in love with Diana. 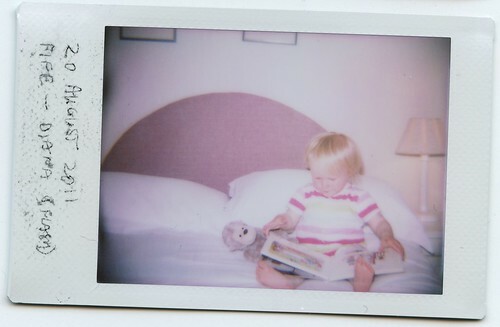 The Diana Instant Back takes Fuji’s Instax Mini film which offers 10 shots and is actually pretty tiny, credit card sized, and slightly cheaper than the Fuji Pack film for Land Cameras. I’ve now ordered about 7 packs and can’t wait to shoot some more. One slightly negative thing though is that the Instant Back needs two CR2 batteries, I’m not sure you can get rechargeable versions because they cost around £5 each! 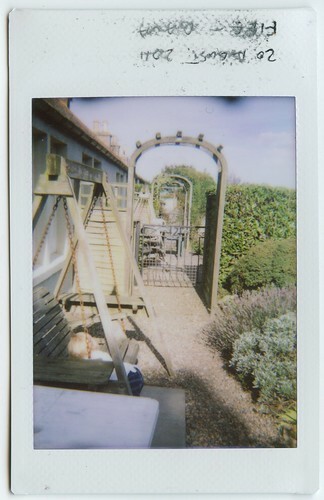 Posted in Day To Day, Instant PhotographyTagged crail, crail2011, diana f+, dianacamera, edinburgh, film, film photography, instant film, instax mini, lo, lomo, lomography, photography, scotland, ukBookmark the permalink. 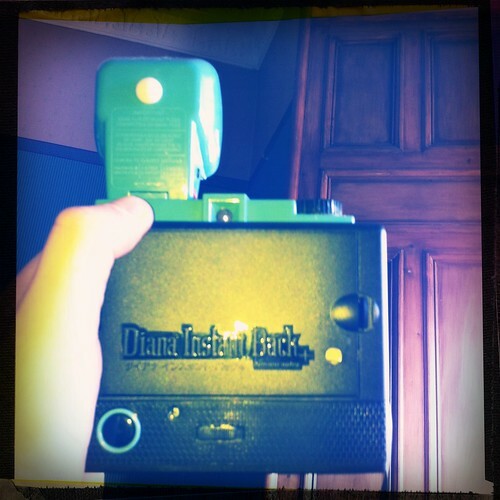 Cool, I love my diana+ and I am interested in getting an instant back. I wonder if you could enlighten me on the crop factor and how accurate the viewfinder is for framing up shots. Also what does it cost for the film packs. I still think that it is a hefty price for such an adaption but if the results are there then it probably is. 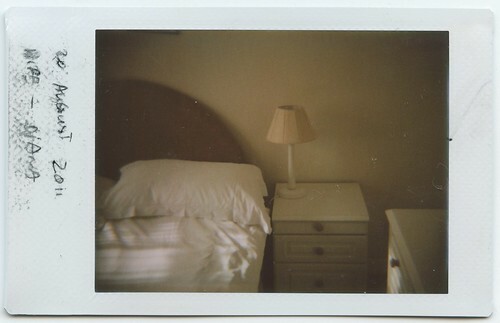 You may find my blog interesting, my last few posts have been photos taken with the diana+ and developed at home using coffee. So please take a look if your interested. Hi Tobias, thanks for your comments. Its a strange one, there is no view finder adapter to help compensate for the new aspect ratio. I understand there are numerous view finder attachments for the Diana+ but after a quick look at the Diana store it looks like they might only be bundled with and tailored for specific lenses. I found myself cropping what I saw in the view finder in my head expected more ‘parallax effect’ style cropping when I got closer. 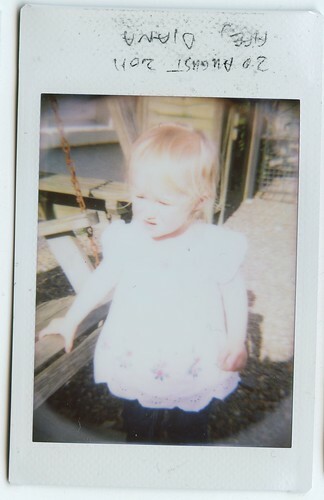 In fact, in my Diana flickr set there’s a shot where I managed to crop my wife’s head when I thought I had it in frame. The Instant Back also juts out about 2cm’s so expect your eye to be a wee bit further away from the view finder than normal. 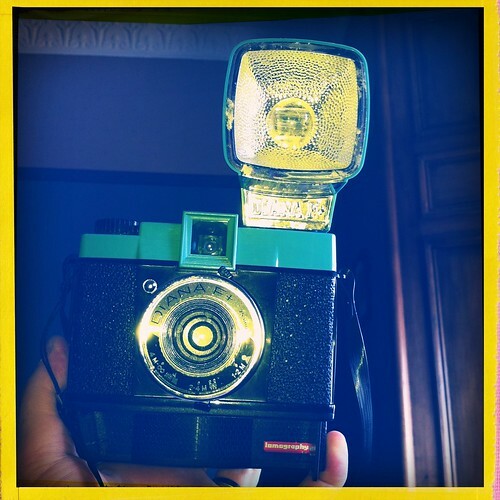 I agree that most of the Lomo products are quite pricey for what is essentially a plastic toy camera with what I gather are plastic lenses. Saying that, they are lovely little things! 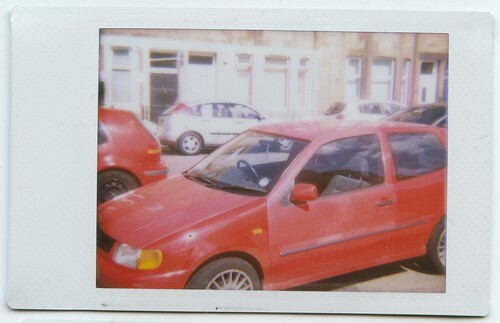 From the UK point of view for cost, the Fuji Instax Mini film is about the same price as the Fujicolor FP-100C pack film used with Polaroid Land Cameras. I bought 5 packs on eBay for £33 which brought the price down to around £6 per pack. They often retail between £10-£16 per pack or double pack and it varies so its best to shop around. Pretty expensive if it’s your main camera! I love your B&W Diana shots, you’ve been far more successful than I have with your Diana! I’m keen to experiment with a caffinol developer but I’ve only recently started developing with chemicals and haven’t yet experimented with push/pull techniques. Do you have a recipe you could recommend? Sorry the response is so long!